Rhinoceros looks like an animal straight from the dinosaur age and it is indeed for the last 50 million years that this stealthy aninmal has inhabited our planet. The most prominent feature of this animal is undoubtedly the horn but did you know that the rhino is an accomplished sprinter or why it doesn’t mind some birds perching on its back all the time. Here are answers to these and some more amazing facts about the rhino. For the last 30 years, Jadav Payeng has been the lone warrior who created a forest in a barren land in Assam. 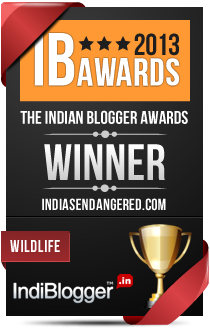 Jadav’s relentless crusade was rewarded when wildlife including a rhinoceros made the forest its home. But the happiness was short lived. Last Wednesday poachers killed the adult rhino for its horn leaving Jadav in despair and the forest department failing to save a rhino yet again. India’s Kaziranga national park is a world heritage site and a park that is home to at least 15 of India’s threatened mammal species including the one horned Rhino. But now the forest officials are concerned that the animals are being threatened by increased plastic waste and other solid waste strewn all over the protected forest grounds.